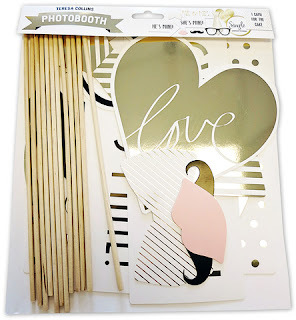 Join Teresa Collins as she shares her line of Photo Booth Prop Kits. Each kit has 12 sticks and 12 foil accented die cuts. Make taking photos at your next party simple by assembling the components of these fun kits.